So much easier to see. As I get older, I find myself having to get a little closer to my iPhone and Apple Watch to see what it says. It’s a trade-off for still being alive at my advanced age. 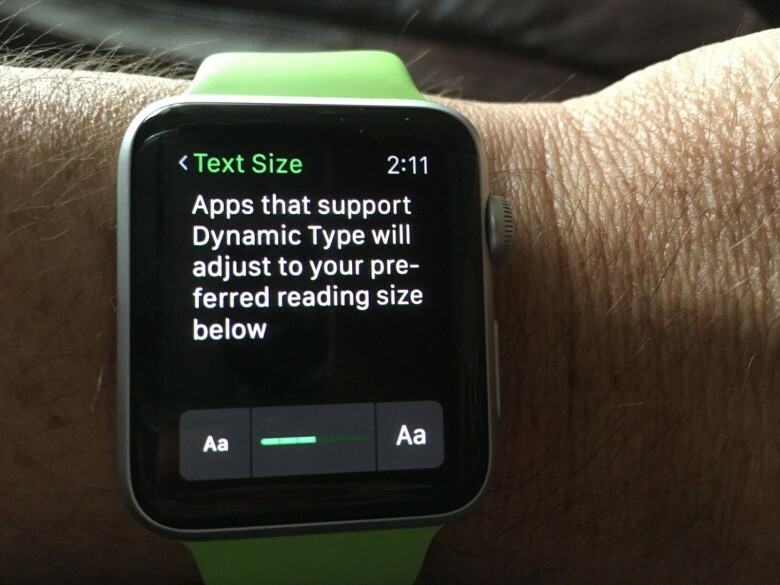 If you’re having a hard time seeing the text on your Apple Watch, too, you might consider increasing the font size for apps that use Dynamic Text. On your Apple Watch, click once on the Digital Crown to get to the home screen with all the circular app icons. Tap once on the Settings app, and scroll or swipe down to Brightness & Text Size. You’ll see a button called Text Size and a toggle switch for Bold Text. 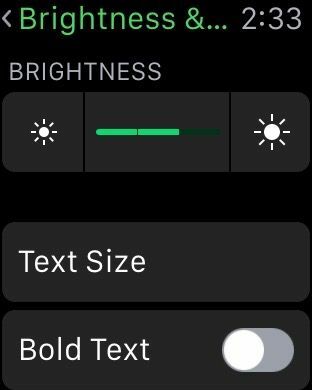 Tapping the latter will cause your Apple Watch to restart and make all your text bold, which might help you see it. If you want to increase the actual size of text in any Apple Watch app that supports Dynamic Text, which includes all the built-in apps there, tap on Text Size, and then use the Crown to increase (or decrease, if you must) the size of the font used on the Apple Watch. Now you should be able to see the writing on your watch just a little bit better, which is definitely a good thing when you get old like me.